75 Chestnut is your ticket to enjoying all the fun and excitement of Boston Sports! Join your friends and neighbors at 75 Chestnut on Monday, November 3rd, as we raffle off tickets for upcoming Bruins games. Don't miss this chance to take part in the live action at TD Banknorth Garden! 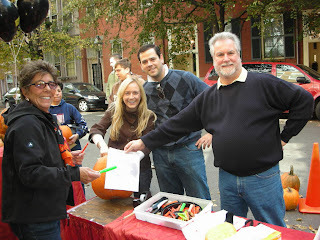 On October 18, 75 Chestnut celebrated the season by hosting its annual neighborhood Pumpkinfest! 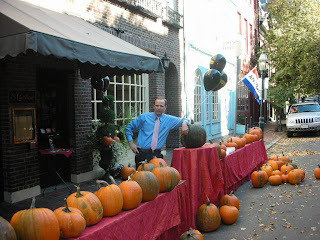 Manager Osmar Pauletti poses with the pumpkins, generously donated from Smolak Farms. Employees stand at the ready! 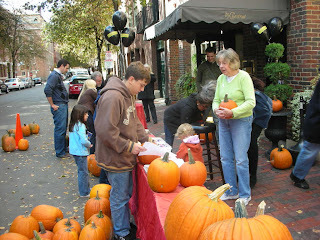 Artists of all ages came to "The Gem on Beacon Hill" that afternoon in hopes of picking out the perfect pumpkin for their holiday display. Manager Betsy Toczco hands out supplies. These ladies weren't afraid to roll up their sleeves and dig in! 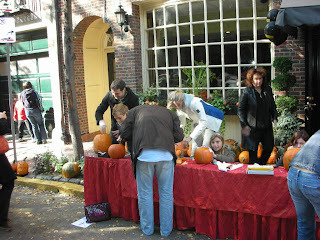 Thanks to everyone for making this year's Pumpkinfest a wild success! Decorate a Gingerbread House at 75 Chestnut! Get into the holiday spirit with your friends at 75 Chestnut! Starting on Friday, November 28, spend the afternoon decorating a gingerbread house in our cozy restaurant on Beacon Hill. You can spruce up your holiday treat while enjoying our delectable Winter Menu Specials! Enhance your holiday spirit with our Chocolate-Dipped Peppermint Stick, Apple & Cranberry Spice or Vanilla-Frosted Gingerbread Martinis! And don't forget our famous Swiss Chocolate and Maple Almond Soup for dessert! 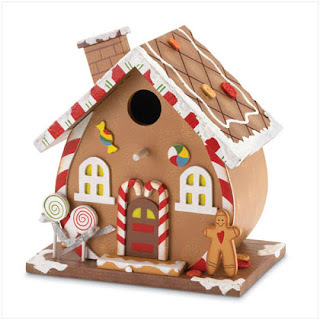 When you're finished, take your gingerbread house home to enjoy! To reserve your Gingerbread House, please call (617) 227-2175. Festivities will take place between noon and 3 pm. 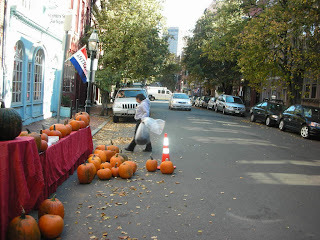 Enjoy Thanksgiving Feasts at the Hampshire House and 75 Chestnut on Beacon Hill! 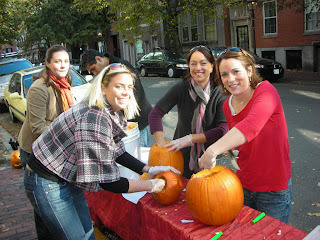 Enjoy Thanksgiving by sharing the holiday with your loved ones at 75 Chestnut and the Hampshire House on Beacon Hill! 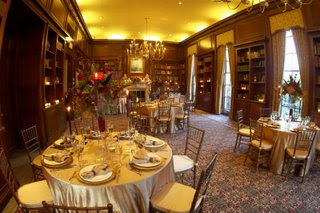 At the Hampshire House, enjoy your holiday meal inside one of Beacon Hill's most elegant mansions! The Hampshire House Library Grille is resplendent with graceful brass chandeliers, oak-paneled bookshelves, and beautiful oil paintings; all classic touches that guarantee you’ll dine in style! 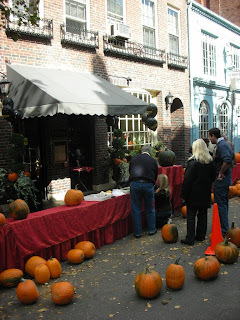 Or, choose to experience Thanksgiving dinner at 75 Chestnut, “The Gem on Beacon Hill”! Enjoy a holiday meal inside our cozy location on 75 Chestnut street. Our dinner menu will feature a delightful selection of traditional and new holiday treats, including Harvest Pumpkin Bisque, Rum Raisin Pudding, Pumpkin Pie and of course, a mouthwatering Oven-Roasted Turkey! Thanksgiving dinner will be served from 12 pm to 6 pm at both locations. For reservations at the Hampshire House, please call (617) 227-9600. For reservations at 75 Chestnut, please call (617) 227-2175. 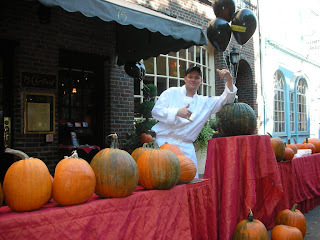 On October 31, enjoy a frightfully good time at 75 Chestnut’s Halloween Celebration! 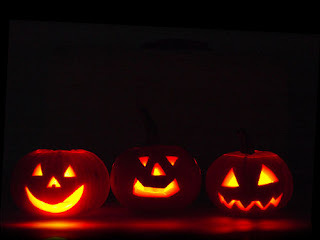 Show off your costume creativity during a spook-tacular night! 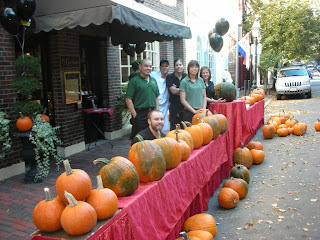 Even our restaurant will be dressed up for this special All Hallows’ Eve! Submerge your name in a witch’s cauldron for a chance to win several spooky prizes! witches’ brew and many spooky treats. Our featured drink of the night will be a Halloween spider martini, made with secret ingredients! Celebrate 11 Years of 75 Chestnut! 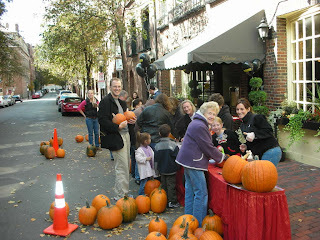 You are cordially invited to 75 Chestnut's 11th Anniversary Celebration on Beacon Hill! Beginning October 6 through 12, we will be featuring a festive Champagne Bar, a Special Anniversary Dessert, and giving each guest a Special Gift! Delectable Fall Menu Selections will be available in addition to our regular menu. 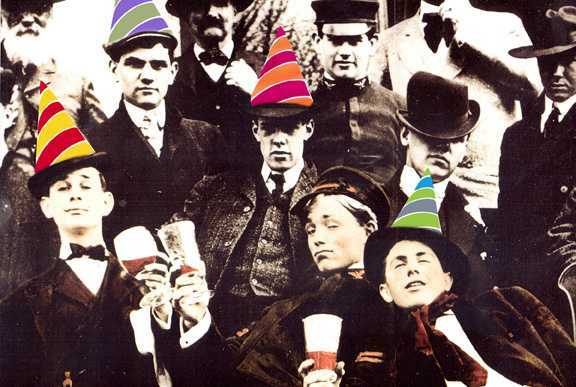 We are proud to be serving our neighbors, and we look forward to celebrating with you!